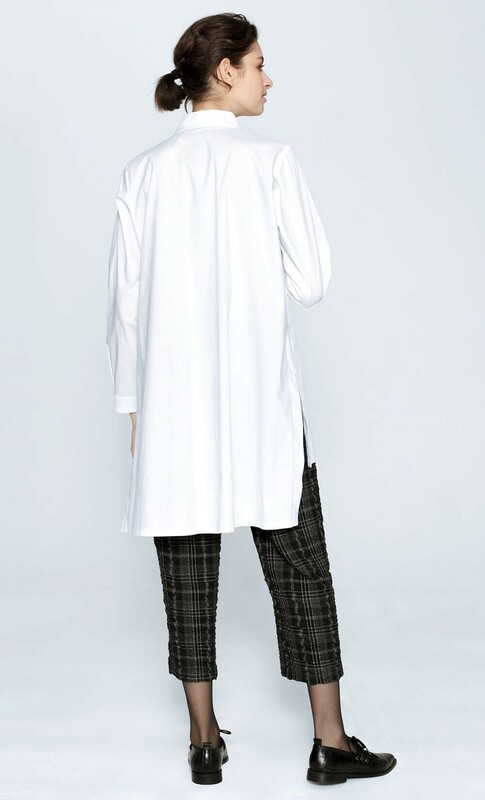 DORIN FRANKFURT has a particular way of creating wardrobe staples that feel contemporary and fresh. 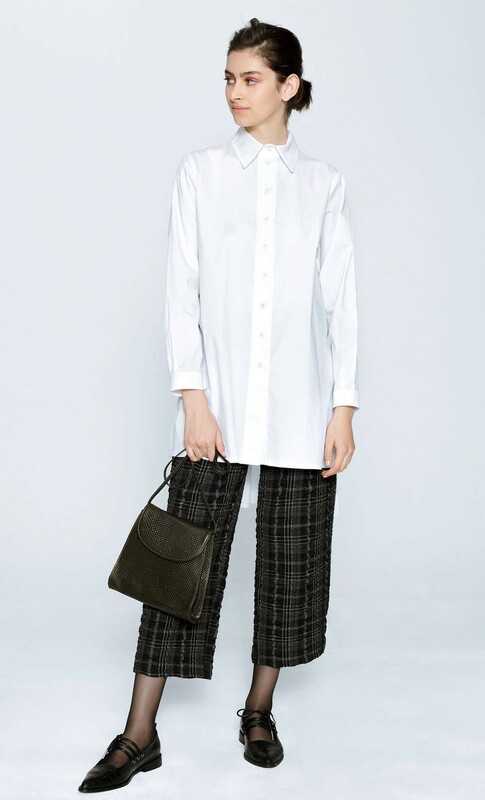 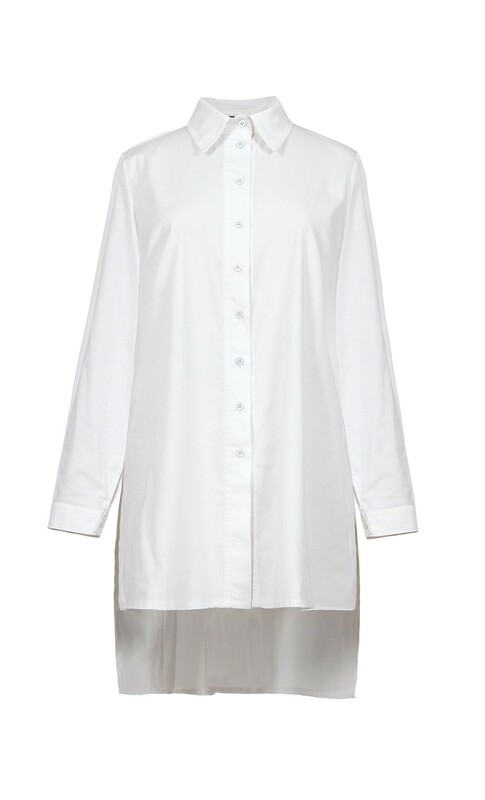 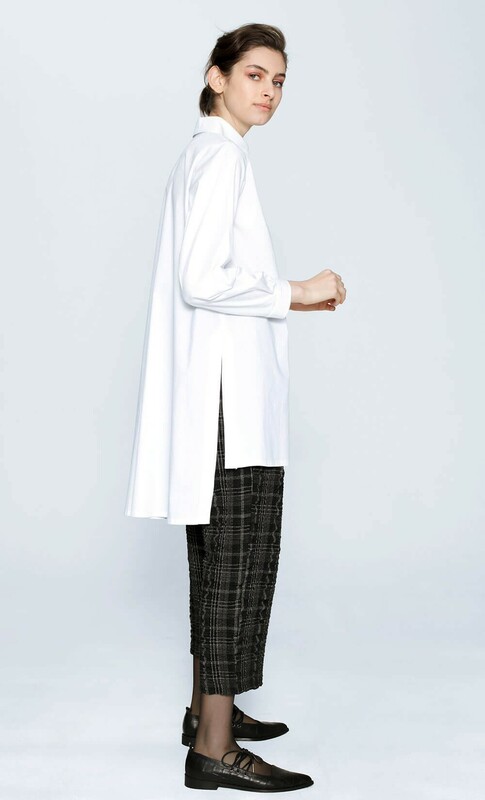 Cut from crisp white cotton, this oversized shirt has deep side slits and a longer back hem that curves elegantly. 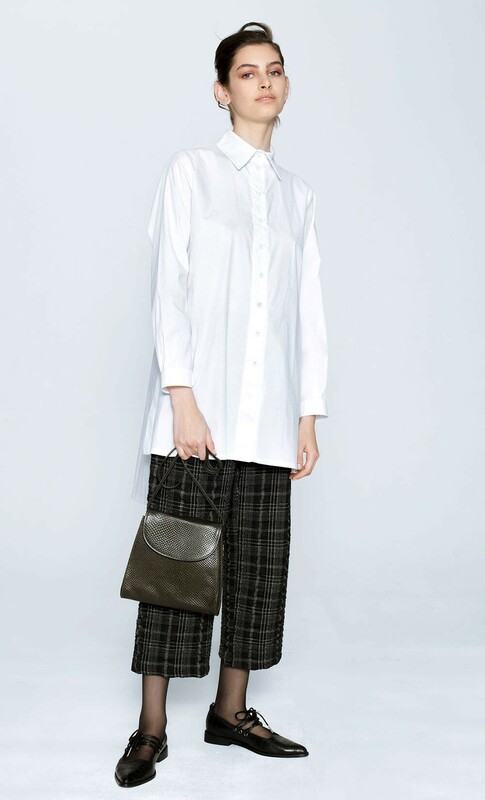 This clean-lined style is available in three colors - black, white and olive.